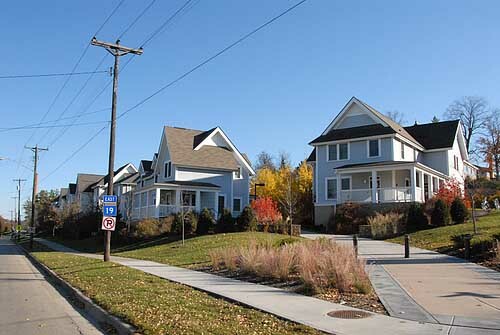 The nine townhouses along Highway 19 look, from a distance, like traditional late-nineteenth century houses. 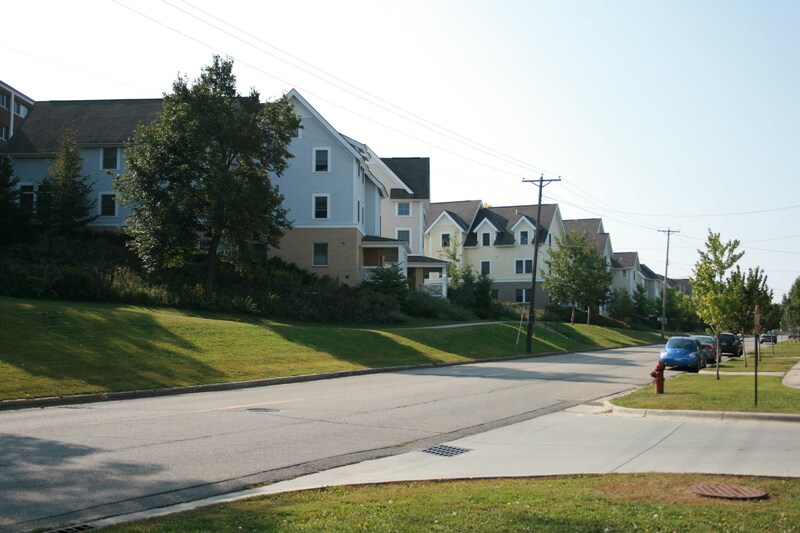 Built on the side of a hill, they contain a lower apartment for one student in the basement, complete with kitchen, bathroom, and living room; and an upper, two-story apartment that contains one double and two single bedrooms, along with a two-story living room, bathroom, and kitchen. 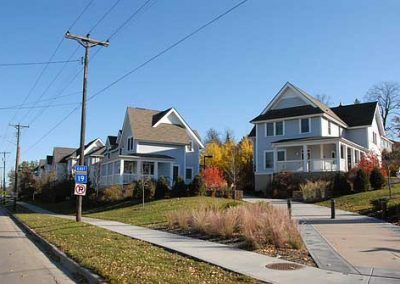 Designed for students who wish to cook for themselves and be somewhat independent of the main part of campus, the townhouses have been immensely popular since they were built in 2001. Like all adventure stories, there are perils, and you perish if you eat all 12,000 mozzarella sticks. 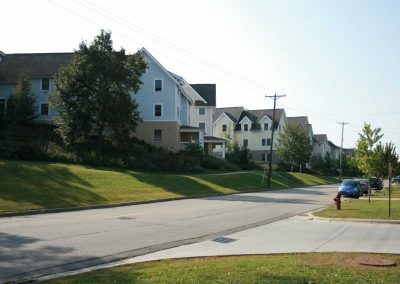 Standing on the corner of Division and Second Streets, looking northeast, one is able to see several townhouses lining a trail leading to Carleton’s campus. Many of Carleton’s townhouses line this path, which runs from campus grounds near Musser Hall on Union and First Streets to the corner of Division and Second Streets. Most of the townhouses contain two apartments, an upstairs and a downstairs. 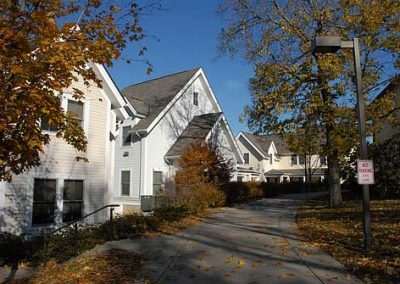 The entrances of the lower apartments face Northfield Boulevard. Photographer Chris Faust took this picture of Eugster Townhouse for the “Vantage Points” photography project that happened around campus in 2001. Musser Hall, typically an underclassmen dormitory, stands in contrast to the newer upperclassmen apartments.